Ride or die&mdash;and win something! Have you seen Fast & Furious 7? Not yet? What are you waiting for? It's now in theatres! Go watch it; you won't regret it. For those who have seen the car-tastic movie though, we're pretty sure you're still having an FF7 hangover. But don't cure it by turning EDSA (or any real-life road for that matter) into your own personal drag-racing circuit. Why don't you blow off steam by playing a racing game? What's that? You don't have your laptop or console with you? OPPO has you covered! That, fellas, is the octa-core OPPO R5. At 4.85mm thick, it's among the thinnest handsets in the world today. Wouldn't you want to have it in your pocket? 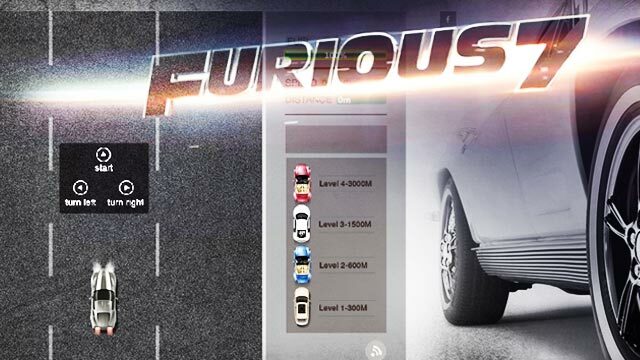 The game, which is unofficially being called the OPPO-FF7 game, is a Flash-based time-waster wherein you (the player) control a car speeding through a road. The name of the game is to go as far as you can without hitting any obstacles or running out of fuel. You control the car using your keyboard (if you're using a desktop) or touchscreen (if you're playing with a mobile device) and there are bonuses along the way that ups your fuel meter for a better score. Sounds simple, yes? To qualify for the contest, you must share your score on Facebook after you play a round. The game also displays your international ranking (the game is available in seven countries) as well as the number of registered players, which is over 300,000 as of this writing. The higher you score, the better the prizes that you could win. The one who gets the highest score brings home the R5!